Thinking about brand makes me think about surfing. 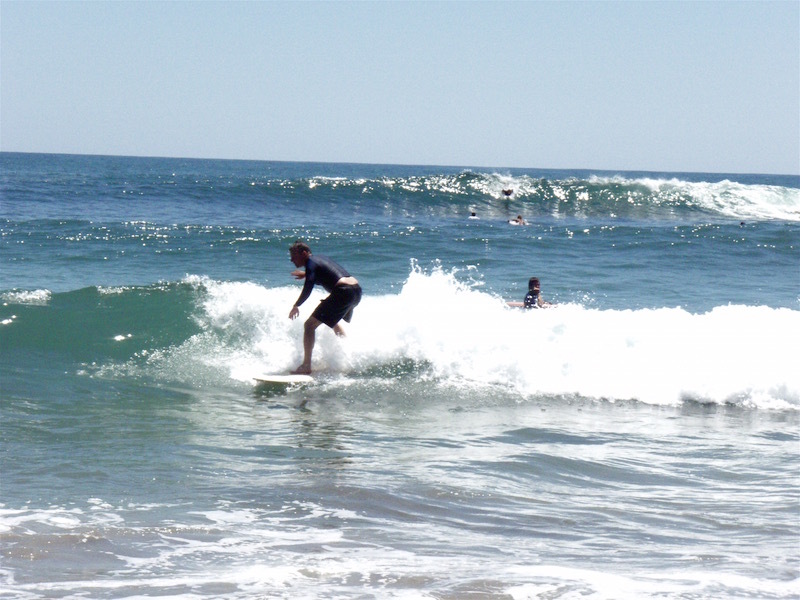 I started surfing when I was a teenager, but, with a few exceptions, I was pretty much done by the time I was 21. So these days when I visit my son in California and we paddle out, I’m in a constant state of rustiness. As I’ve been getting back in the water, I’ve been bedeviled by a simple surfing maneuver, the popup. The popup is the process of going from prone to standing. Experienced surfers make it look easy. I used to do it without thinking. But now that I’m older and slower, I’ve lost my chops. I’m a fish out of water, an older dude that young hotshots can shred and slash circles around. This futility would be enough to drive most people back to terra firma. But I am determined to re-master the popup and get surfing again. So, last time, I watched surf videos. I practiced on land. Then in the water. After a week, I made progress and almost got there. Almost. All of this effort makes me wonder what drives us to keep at things despite repeated failure. What makes us pick ourselves up (or out of the water) and try again? What’s behind the tenacious pursuit of a goal? And that got me thinking about brand and story. Because, at the heart of a powerful brand is a powerful story. A real, flesh-and-blood story about a real person who wants something and is willing to suffer and strive to achieve it. Take my story. I was a skinny 14-year-old growing up in New York when my older brother turned me on to surfing. With my savings from a paper route, I bought a used surfboard. It was my Excalibur: 9’ 5”, with an oval decal that identified it as a Hansen surfboard from the exotic location of Cardiff, California. Surfing became an obsession, an identity and a personal mythology. I drew pictures of waves on my notebooks. I read surfing magazines cover to cover. I learned to say “stoked” and “gremmie” like a denizen of Southern California (I imagined). I dragged my board down to our dirty, waveless bay in Staten Island and practiced paddling. I begged my brother to take me to Rockaway or the Jersey shore in his Chevy. Eventually, I spent two beautiful summers at Montauk, Long Island, surfing every day. And I never had to think about how to pop up. I just did it. It’s that skinny teenager who loved surfing that keeps me trying to surf today. I created a personal myth with me as the hero of my own story. And whenever I surf, it connects me to that story and motivates me to try, try again. If you’re a marketing, brand or communications manager, think about your brand story in personal terms. ("The Hero and the Outlaw" is a classic text about how to find the archetype for your brand.) What is the story that drives your company? The power of a brand is not in abstract qualities or concepts. The real power is in story.